Figure 56. Jacobsen device for extracting gases from sea water. This device was invented by Professor Oscar Georg Jacobsen, a member of the German Baltic expedition of 1871-1872. 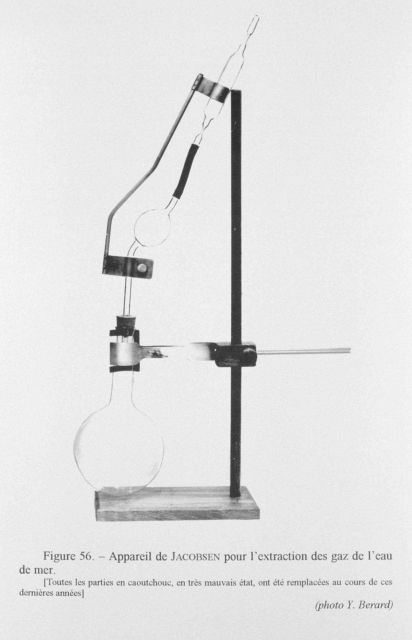 It was based on an instrument conceived by Robert Bunsen. Water samples were obtained by Meyer bottle.